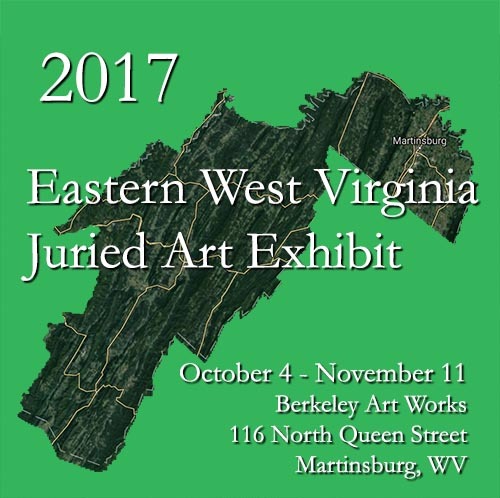 The Juror’s results are in and Geraldine Kiefer selected 31 works from 21 artists representing the Eastern Panhandle Region. Congratulations to the accepted artists. We will celebrate the exhibit during a reception and awards presentation on Friday, October 6 from 5-7pm at the Berkeley Art Works, 116 North Queen Street in Martinsburg.